Before I head out on any trip, whether it be somewhere local in the UK or one one of my Africa expeditions, I spend a lot of time researching the coolest and most unique places to stay in the area. I’m really into experiential travel, and for me, the accommodation is as much a part of the experience as anything else. 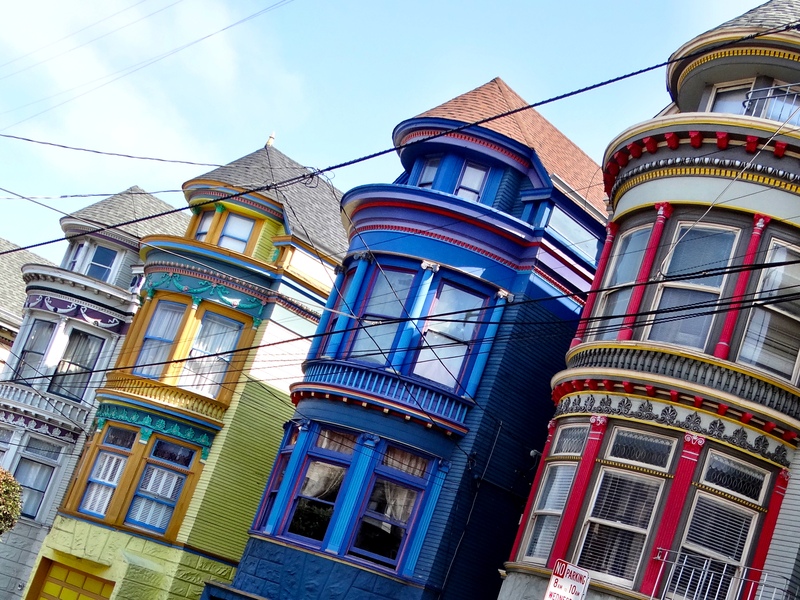 I love to find hotels, guest houses, apartments, hostels and camps that are a little bit different, the more creative and quirkier the better. 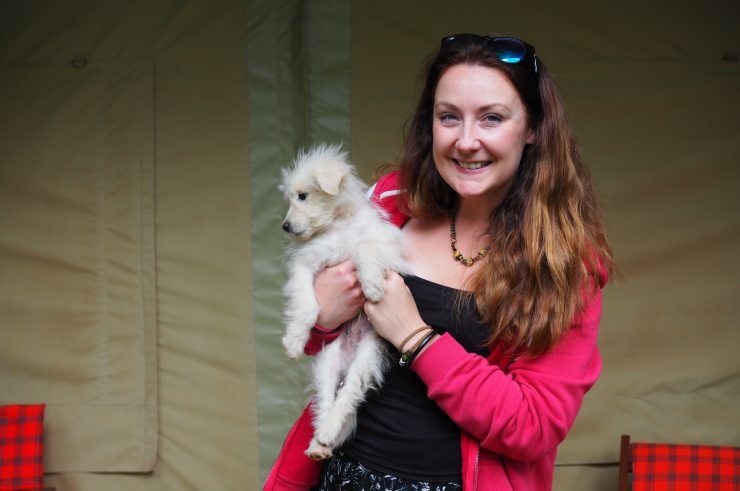 That’s one of the reasons I love glamping, boutique hotels and eco lodges so much, as they tend to be a little bit out of the ordinary, with loads of personal touches and run by awesome people. 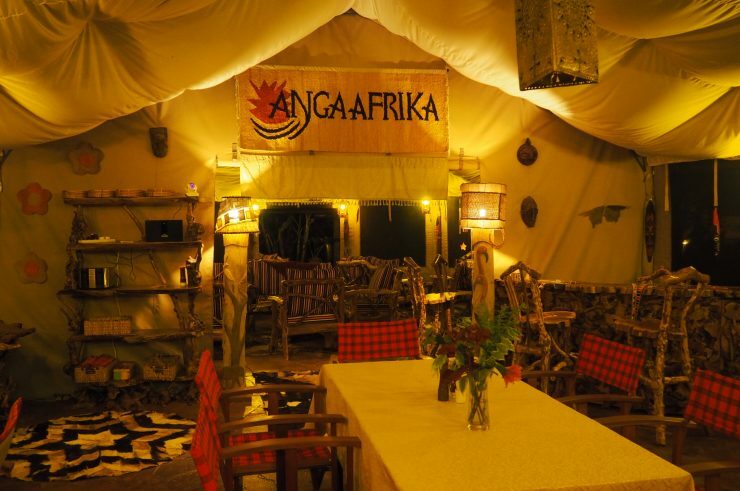 Anga Afrika is a family owned eco camp in the suburb of Karen in Nairobi. 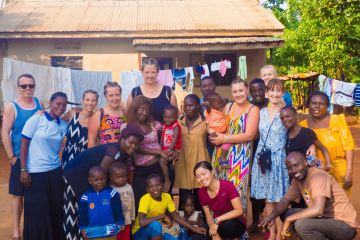 It only opened in January 2016 but already this camp is flourishing! The camp itself is lovely, serene and intimate, set within the grounds of a family home. 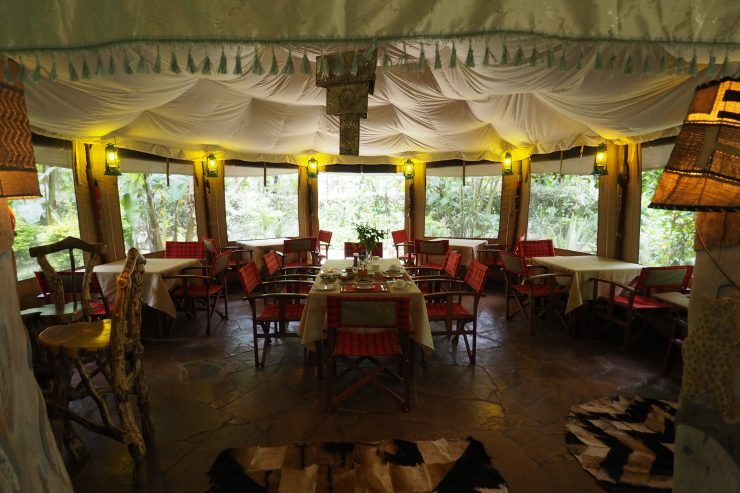 In the centre, there is a cosy lounge, bar and dining room with beautiful handmade furniture in true safari style and even the chairs around the camp are made with Maasai blankets. Even better, it’s an eco camp that uses solar power. Every so often, they host retreats and events and it’s the ideal setting really as the lounge is set out in such a way that makes it really sociable too. 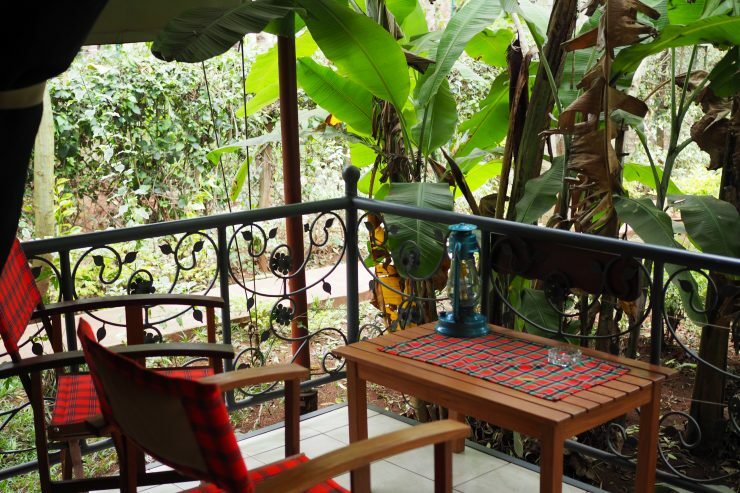 The rooms surround the communal area and lie within an exotic garden filled with banana trees and animal sculptures. And if you really want to get into the glamping spirit, there’s a fire pit you can sit around and roast marshmallows. I loved the relaxing jungle vibe and you wouldn’t know that Nairobi city centre was just a few miles away. 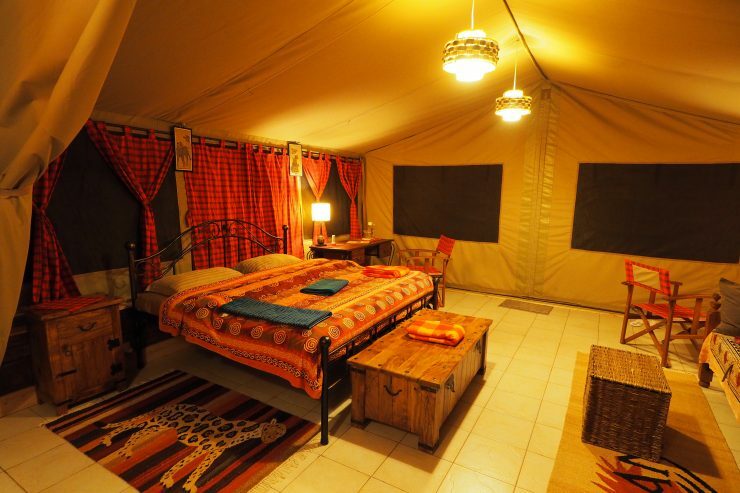 The rooms are actually big safari style tents. 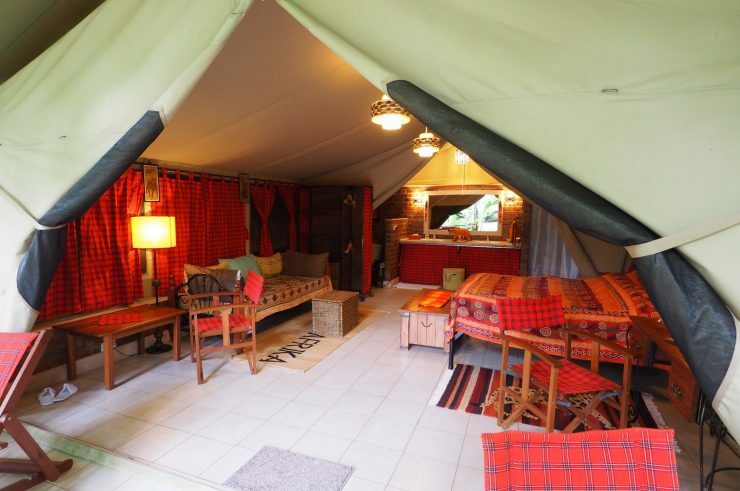 The tents sleep up to 3 adults or they can also add a cot for children to sleep 4 and each one is named after animal. I stayed in the Chui room and chui is Swahili for leopard. 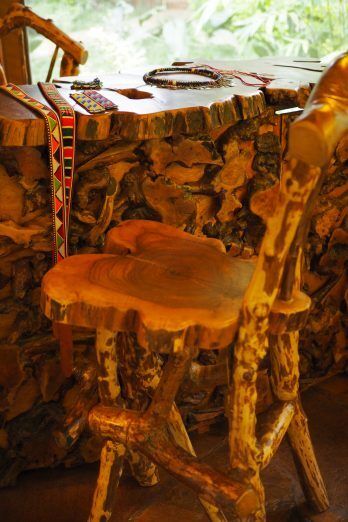 The decor has a true ‘Out of Africa’ feel, with African print and an earthy palette. The beds are big and super comfy, perfect for relaxing after a long journey. All towels are provided, as well as bathrobes, slippers and toiletries! There’s plenty of storage space (including a safe) and lots of gorgeous little touches around the room. There’s a desk in the room so if you need to work, you can. Each tent has it’s own front porch too, where it would be lovely to sit out with a nice big glass of wine and a book. If I’d had more time, this is exactly what I would have been doing! I arrived late and it was pretty cold in my room at first, however the room had lots of blankets, a heater and they even brought me a hot water bottle, so once I was in bed, I was super cosy and had one of the best sleeps of my life. And most importantly, the shower was lovely and hot! I arrived too late to sample dinner in the restaurant, but I did have the breakfast. Breakfast was hearty, starting off with cereal, yoghurt and fruit followed by eggs cooked as you like, sausage and toast. 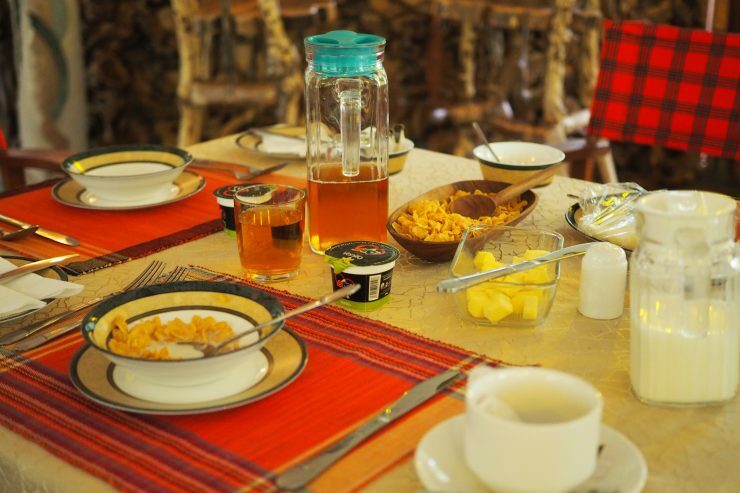 There was apple juice on the table and there’s a choice of Kenyan tea or coffee. As I was travelling alone, I was paired up with another solo traveller who was there for a conference and we had a nice chat over breakfast. The bar stocks wine, beer and cocktails (not that I tried them at 9am). Anga Afrika is in Karen, a suburb of Nairobi, out towards the Ngong Hills (if you’ve read Karen Blixen’s ‘Out of Africa’ or seen the film, you’ll be familiar with the Ngong Hills and the area is named after the Danish author). Karen is a relatively affluent area of the city. The camp is around 25 minutes from the main airport and 16 miles from the Central Business District. The traffic in Nairobi can be a little bit crazy, so if you are working in the centre of town, just be aware that it may take you a while to get in and out each day. 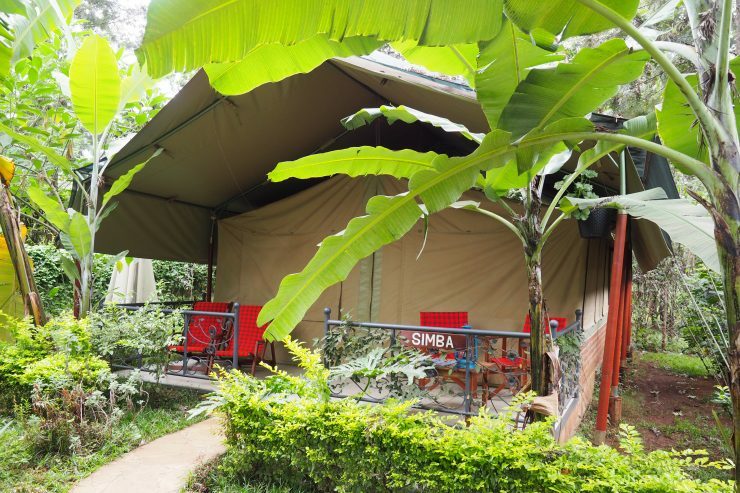 However, if you are a tourist, Anga Afrika is perfect, as it’s really close to a lot of the main tourist attractions and on the right side of town to head out on a Masai Mara safari without getting stuck in the bulk of the traffic. As with many suburban areas in Kenya, there are a lot of dogs that like to bark at night (and you may also hear the odd lion roar), so if you are a super light sleeper it might be good to bring some ear plugs. Nairobi is a great city, often underrated, with so much to do! 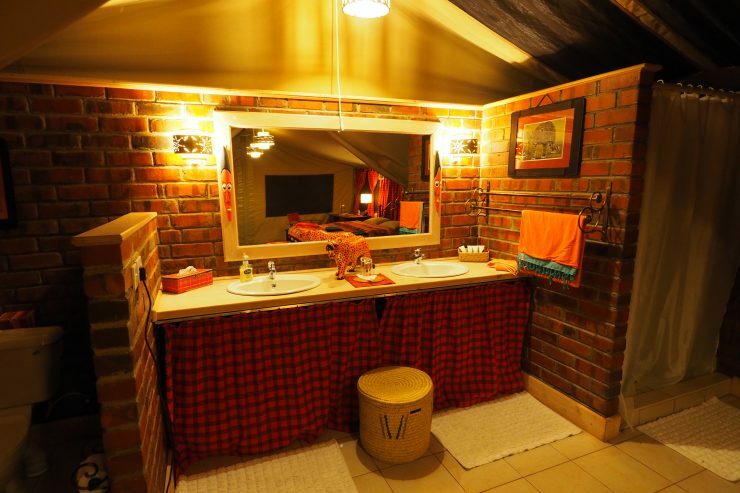 Near to Anga Afrika, you’ll find the Karen Blixen Museum, Kazuri Beads, Marula Studios, the Nairobi Giraffe Centre and the David Sheldrick Elephant Orphanage. If you’re feeling energetic, you can go hiking in the nearby Ngong Hills and Nairobi National Park is about an hour away if you want to go on a safari. Aside from the restaurant, lounge and bar area and the fire pit, there isn’t much in the way of facilities. There’s no gym or pool, but then you don’t need these those things when you’re in Nairobi, as there’s so many better things to be doing! And when you’re not off exploring the city and surrounding areas, you’ll probably want to be relaxing, reading or making new friends round the camp fire anyway. They can organise a beauty therapist to come to the camp should you want a massage, manicure or pedicure – which you may need after going on safari! I believe they also have a babysitting service too. The staff and owners are really welcoming and nothing is too much trouble. I loved the relaxing setting and the way the camp is styled is perfect. 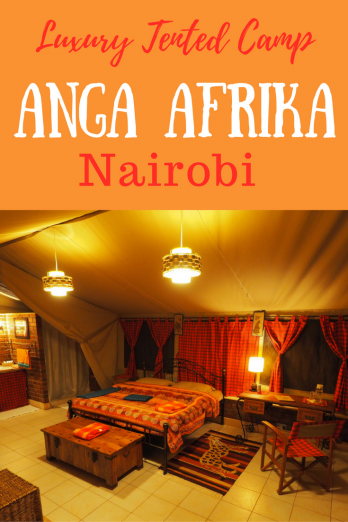 If you are looking to get away from it all or for affordable luxury, with a true African feel and close to many of the main Nairobi attractions, then I would highly recommend Anga Afrika, glamping at it’s finest! 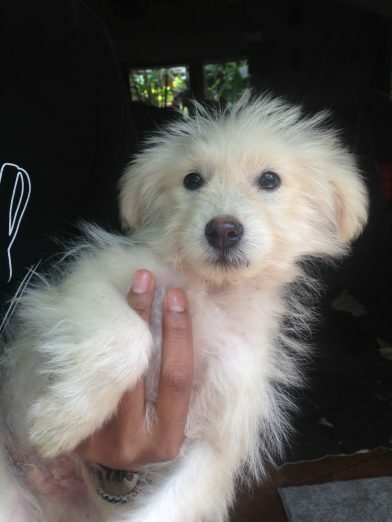 Plus, they have THE most adorable puppy called Sparky who I absolutely fell in love with! 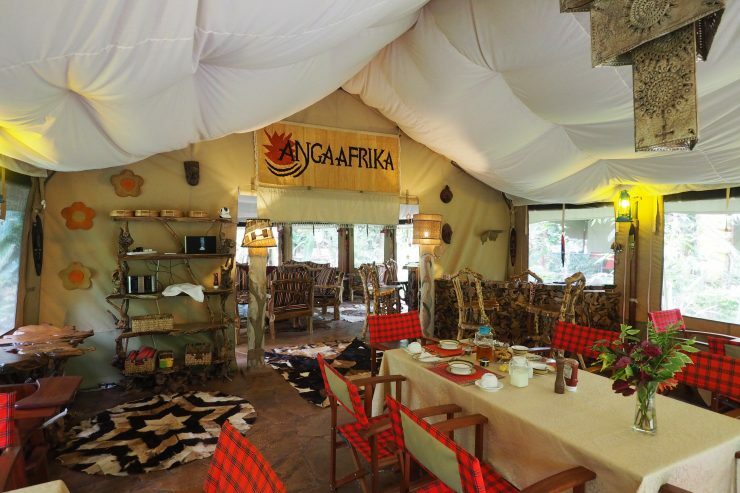 To make a booking visit the Anga Afrika Luxury Tented Camp website. Rooms start at 90€ per night. A taxi from Jomo Kenyatta International Airport to the camp will cost you 3,500 KSH. Anga Afrika can organise your pick up. I was a guest of Anga Afrika during my stay, however they did not ask me to write a favourable review and all opinions are my own. Yeiyy.Glad someone got round to writing about Anga Afrika.I am currently feeling the chill in UK and this post just brought all forms of warm fuzzies about home.II stumbled upon this place so randomly and became their first guest (am sure they keep saying they were not ready to host).I loveeeed this so warm so nice place the food was great I was overfed,the birds chirping woke me up to very fresh air and peaceful silence I did not believe I was in Nairobi.The host went over and beyond his boundaries to get me the fluffiest of bathrobes.I recommend this nicely tucked in piece of heaven anytime.and book lovers don’t even need to carry books they got a few good reads for your relaxation.loved Anga Afrika. Hey Dorcus, Nice to meet a fellow Anga Afrika fan! 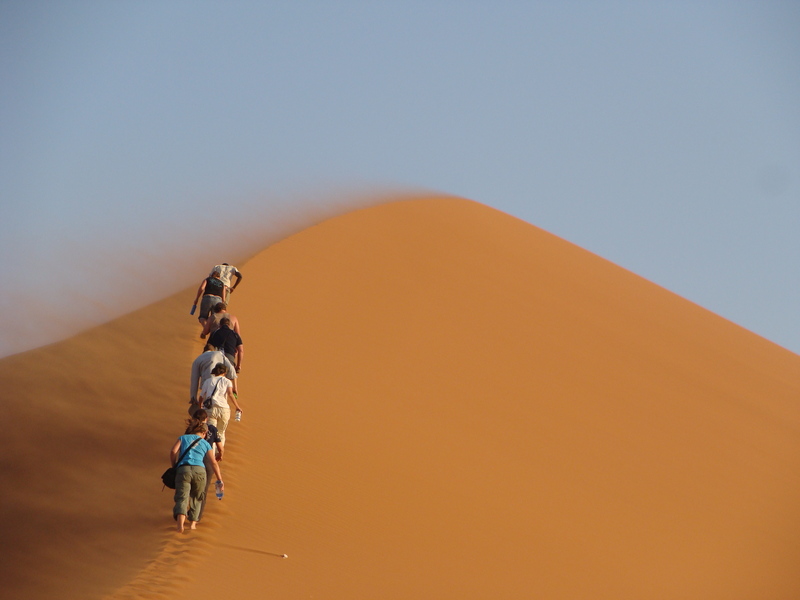 The temperature in Africa varies, through the seasons and from place to place. Living under canvas is quite common in Africa and not really a problem. It was actually quite cold when I was in Nairobi. I had a heater and slept with a hot water bottle. Nairobi is a pretty cosmopolitan city, so I don’t see why you would specifically have a problem. I don’t know about lving there, but certainly as a tourist I don’t think you’d have any issues. Found your site while searching for things to do in Kenya. Loved your review. Decided not to go to Kenya because my group doesn’t want to get the yellow fever vaccine. So, we’re looking into Tanzania instead. We’re flying from Madagascar. 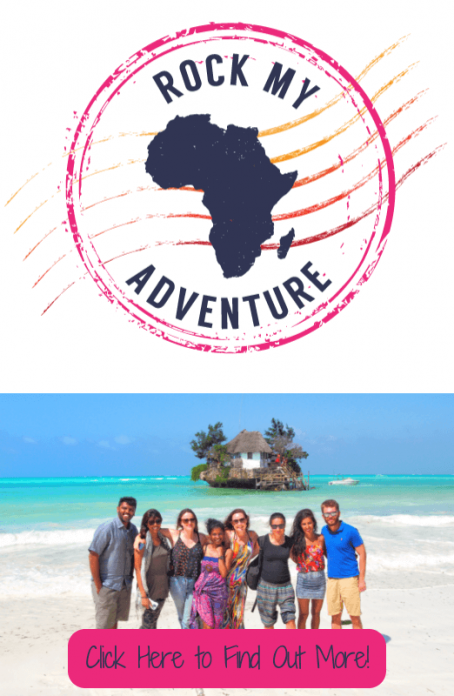 Would love to have to recos from you on creating a great African experience. We are flexible on what countries to visit at this point (as long as we don’t need vaccines) – and I love the idea of sleeping in tents like you described here. Thanks in advance! Kenya and Tanzania have the same rules for Yellow Fever certificates – they require you to have a Yellow Fever certificate if you are coming from a country with a risk of Yellow Fever or transiting through a country with a risk for more than 12 hours. 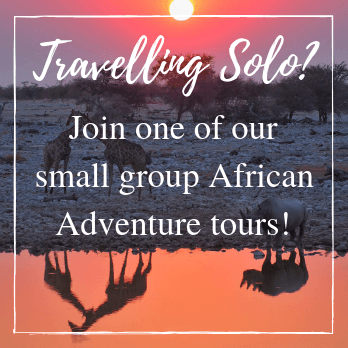 In terms of recommendations to create a great African experience, have a look through these posts and maybe some of the country posts and then let me know where you are thinking about/how long you have etc and then I can give you some recommendations! 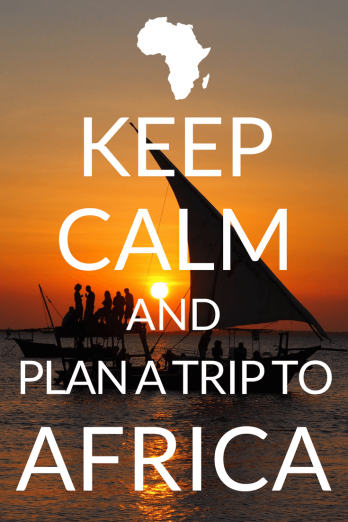 Since yellow fever shot is not required for Kenya – we’re definitely interested now! The dates for your 2017 Kenya trip won’t work with us but would like to discuss with you an alternative schedule. We already have a group of 6 – possibly 8 ready! Please contact me soon. Thanks! Hi Carline, great you are going to Kenya. When you say you are looking to discuss an alternative schedule, what are you looking for me to do? Guide or organise the trip? Or just a bit of advice? Guide and organize a trip for us! Or if that’s not possible, organize the trip. We like your 2017 itinerary but the dates don’t work for us and we only have 10 days max. Would like to see Kenya and Tanzania if possible.